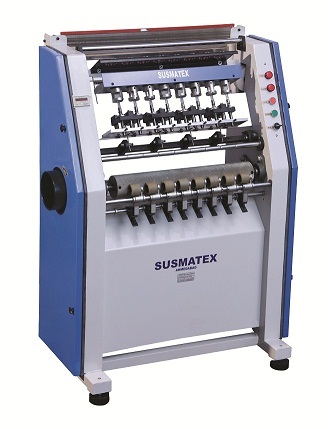 FAST KNIT BRAIDING Model - "SMB-8"
Space saving, because of compact design. 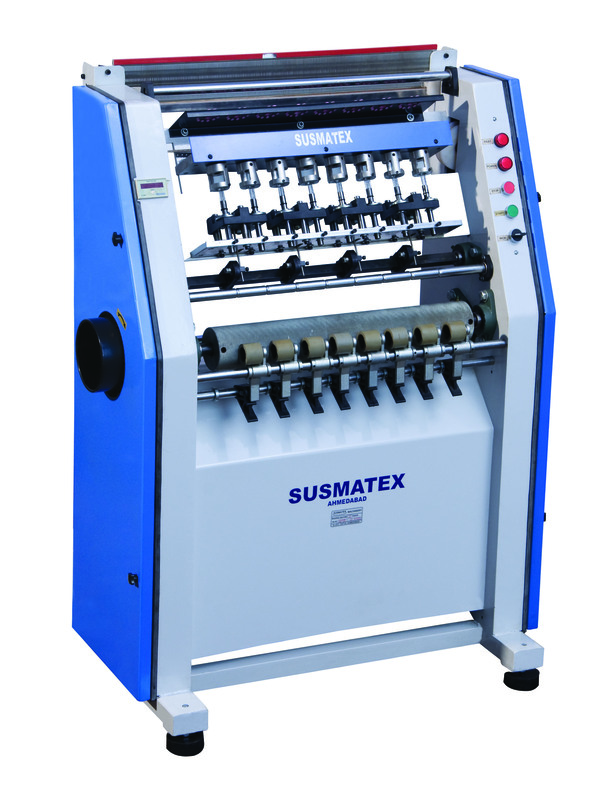 The yarn packages, generally available in come from, can directly mounted on creel and fed to the machine. Machine stops automatically in case of yarn breakage or exhausted. Continuous attendance of operator is not required. Any diameter ranging from 2mm to 12 mm can be produced on the same machine by just changing the cylinder and thread guide. Construction of cord 4,6,8,12 bobbins is possible on same machine. Density (pick/cm) of produced cord is adjustable by change gears.